Reviews. We look forward to hearing from you.. meanwhile have a look at our testimonials. These quotes are taken form our trip advisor page. You are welcome to read or comment. Whilst walking the south west coast path I stayed here. At all times from the initial booking till the day I left, I was treated with the utmost respect and kindness. The staff were all friendly and the room and food was superb. Not going to waffle on too much about how much we loved our stay here! Just going to mention the hotel and bar are so comfortable, all the staff incredibly friendly, food awesome, beds real comfy! Location is as good as it gets, right in the heart of all shops/marina! My only gripe is the car park road conditions. Managed to proper scrape my car underside going out. Won’t mark the hotel down for that though! We’d love to come back and will recommend this place to all! Thanks. We stayed at this Hotel which is situated in the Heart of Padstow and I must admit I didn’t think it was going to be so good. Very clean and well presented room (No. 7) with an excellent and spacious bathroom with separate bath and shower cubical. The room has a large comfortable bed and all the usual knick knacks and a very relaxing high wings leather chair. The room is very spacious, light and airy but warms and cosy. The Hotel has within it one of the liveliest Public Bars in the town with live music, friendly locals and is full of tourists all enjoying good beer along with affordable and good quality meals. If staying during the high season you must expect noise from the Bar late into the evening if you are not the one’s making the noise. Parking in Padstow can be expensive but the great thing about The Old Ship Hotel is that it has its own Car Park for residents. Yes the steps to and from the Car Park are fairly steep but they are worth it. Stayed for a weekend and we were really impressed with this hotel, the bar was very well stocked with a wide choice of drinks. Breakfast was lovely as was our evening meal, especially the puddings !!!! The hotel is so central to the shops and the harbour and it was clean and well run. All the staff we saw went out of their way to be polite and helpful. On 4th April I stayed at this hotel for 4 nights, I was most impressed, good food, accomadation, and frendly staff, and a super location 25 yards from the harbour. We did not eat there every night, but the menu, and the number of people eating there said it all. We always eat here when we stay in Padstow as the food is superb. It can get very busy so it is worth booking especially at peak times. There is a good choice of dishes but the fish is fab!! From seafood bowls, paella to classic favourites such as fish and chips – all are consistently good. Recently they have updated the interior which is clean, bright and airy. A favourite we will vist again and again! A great place to go in padstow. The service is great and the staff make you feel very welcome. The food is amazing, chocolate brownie being the best iv had in a very long time. I visit a few times a year and will continue for a long time. I have been going to Cornwall for many years and this hotel had been the best I have ever stayed at. The staff and food was top class and at such a good price. I book my next stay before I left the first. Fantastic value for money, really friendly staff, great food and drinks, nice cozy rooms with clean modern en-suite shower rooms. 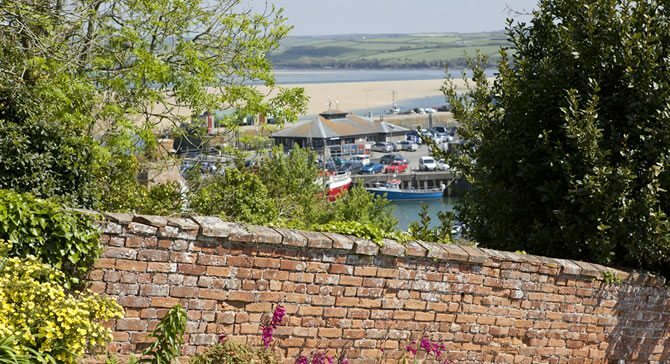 I would definitely stay here again if I visit padstow in the future. Absolutely excellent. Service was excellent. Friendly staff. Great Pub food. Reasonable price. Child friendly.